Have you ever played dots and boxes? It's an astounding simple game that is perfect for passing the time. This little game fits that description as well. Critical thinking gets snuck in while kids play. 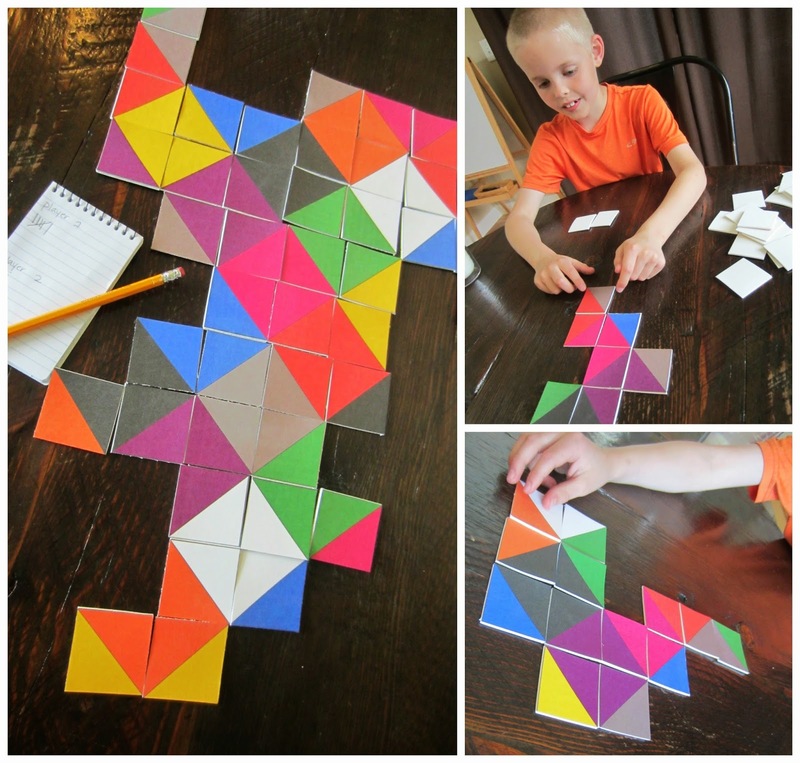 Simply print the PDF on cardstock, cut out and get ready to play. 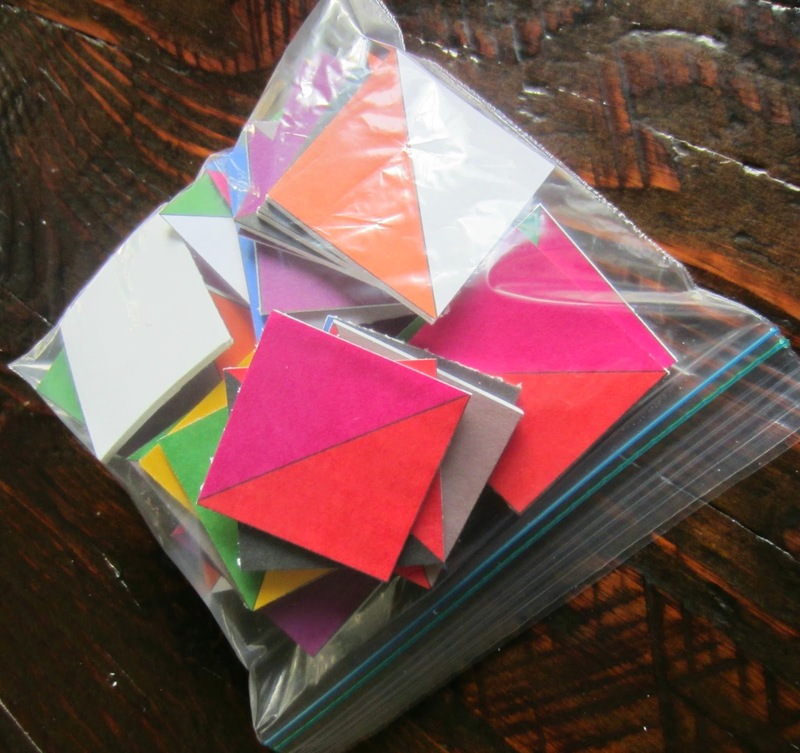 If you want to increase the durability of the game, either laminate the pages before cutting out the squares or use foamies glue and adhere the paper to thin sheets of foam and use a straight edge and craft knife to cut out once dry. To make the game car-friendly, buy a metal clipboard to use for storage and playing surface, shrink and print the pieces on sticker paper, and adhere them to thin magnetic sheets. There are five pages in the PDF I made. For a short two-person game, only two pages of game pieces are necessary. Play is extended with more pieces. Likewise, for more players, you need more pieces. When all the pieces have been played, be the player with the most points. Points (or tally marks) are earned by adding the last piece to make a full square of any single color. The youngest player picks one game piece and puts it in the center. He/she then draws from the pile of unused game pieces. The next player looks at their three pieces and if possible, adds to the piece previously played. Play continues in this way, so that each piece must touch another of like color. 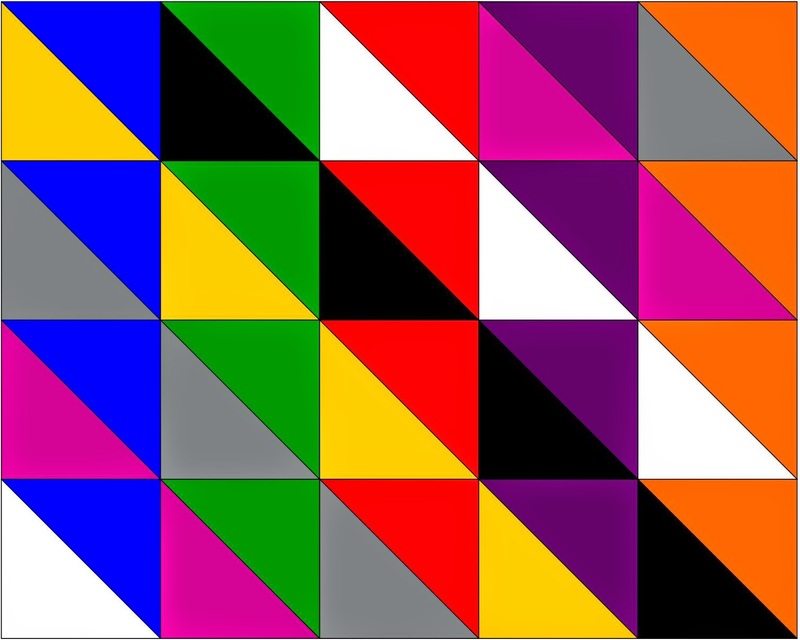 The player to add the last piece to make a full square of any single color gets a point. Keep track with tally marks on a notepad. If a player adds a game piece that finishes two squares, two points are awarded (see the picture above). When all the pieces have been played, look at the scorecard. The player with the most tally marks wins! VARIATION: During a child's turn, they can move an existing piece that's already been played on their turn instead of laying down a new piece. 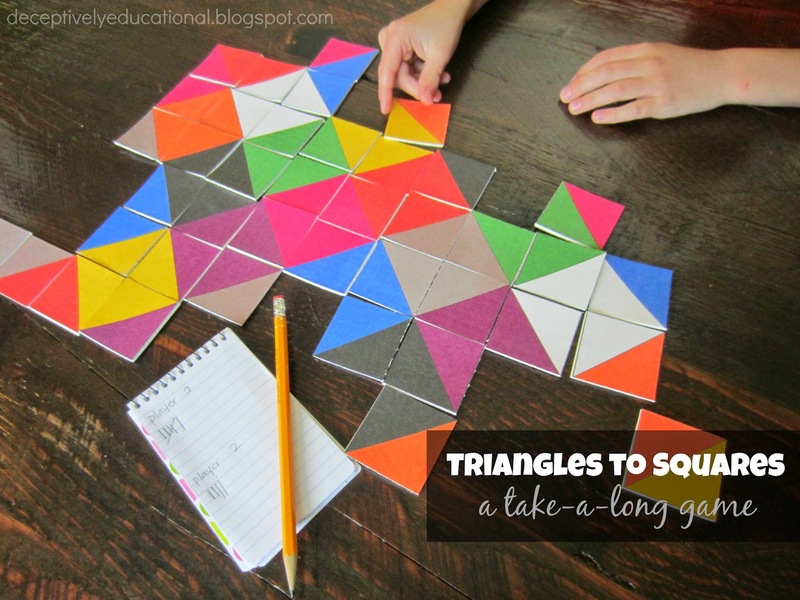 EXTENSION: Talk about fractions as you play, asking the child to recite how much of a square is complete when a game piece is added (e.g. "Now there is 3/4 of a red square!"). This game looks like fun. Thanks for sharing the free printable! FYI, they do make printable magnet sheets to save on a step. So cool! Love the game. Thanks for co-hosting After School Link Up! 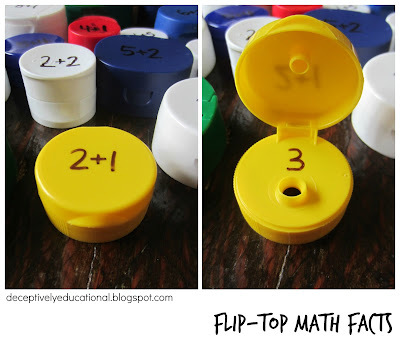 Lots of great and inexpensive ideas for STEM in the Classroom. Thanks for sharing. Thanks for sharing! This game looks like so much fun I'm printing out some cards for us to play with! Thanks for sharing! I found this on pinterest and will print this lovely game out for my dear grandchildren.